Being separated from a loved one is something that many people had to endure once in their lifetime. The reasons behind this vary, it could be from an actual loss or by circumstance. Nonetheless, the heartbreak and grief brought about by such situations can be unbearable. But for this family from Nova Scotia, Canada, a chance encounter and a little Christmas magic made a long-awaited reunion finally possible. Keep reading to learn more about this heartwarming story of a family who got reunited with long-lost sister just in time for Christmas! It was most certainly the magic of the season that brought Coral Rafuse to the Flower Cart that fateful day in November. The 42-year-old had been working at the New Minas Children’s Centre just across the street when her co-worker asked if she could pay a bill for some bread at the bakery. The Flower Cart is a local business that has vowed employ adults with intellectual disabilities. As Rafuse scanned through the photos of long-time employees lined on the wall, one particular photograph caught her eye. Not only did the woman in the picture bear a striking resemblance to Rafuse’s own mother, she also had a surname that matched that of her mom’s first husband. Elated over the discovery, Rafuse immediately called her sister, 44-year-old Candace Bird. 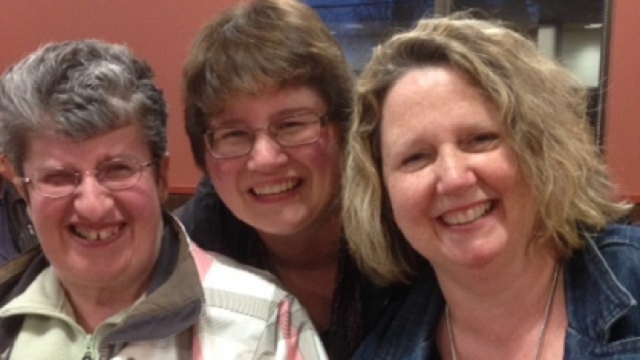 Rafuse told her that after more than five decades apart, she’s finally found their long-lost sister, Machelle Hubley. By the time of the discovery, Hubley had already turned 51. The women informed their mother, Gwendolyn Boone, who was just as happy to hear the news. Machelle Hubley was just two years old when mother Lyn could no longer provide the care her physical and mental conditions required. With a heavy heart, she decided that it was best for the child to enter the foster care system. After living in a few homes for the past years, she went to a training school in Truro and became the first female core member at L’Arche Homefires in Wolfville. Little did Machelle know, she was just within a short radius from her two other sisters. It was through Ingrid Blais, a director at L’Arche Homefires, whom Rafuse went in touch with to get to Machelle. Blais then informed Machelle, who describes the moment she met her sisters as both nerve-wracking and happy. The family got reunited with long-lost sister at Blais’s office, and needless to say, they didn’t waste any time catching up with each other. But the happy moments didn’t end there. Shortly after, the sisters took Machelle to meet their 90-year-old grandmother. The timing couldn’t be any more perfect. Not only did it come after the family suffered a devastating loss with the death of their father, but it was also the holiday season, making it Machelle’s first time to spend Christmas with her real family. Nothing could cause a parent more pain than losing a child. Days without your child beside you when you sleep are tough to endure, meals without seeing them on their usual spot are hard to sit through. More so, special days without them in the house become less worth celebrating. While this story talks about a family who got reunited with long-lost sister after the latter had to enter foster care system, there are those parents who had to endure months or years without their child with them because they went missing without a trace. But this situation can be prevented. Advanced technology has made it possible for parents to keep a closer eye on their kids, and that’s through global positioning system (GPS) tracking. 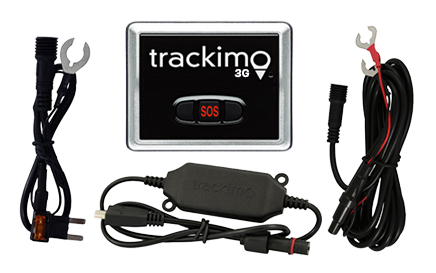 There are a number of GPS trackers in the market today, one of the most reliable among them is Trackimo. 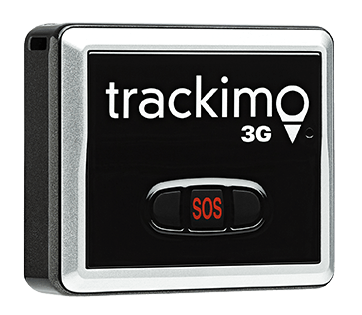 With the tracker’s state-of-the-art features, Trackimo device gives parents an easy, convenient, and efficient way to keep tabs on their kids anytime, anywhere. Christmas, or any other holiday, will never be as memorable if the family isn’t complete. 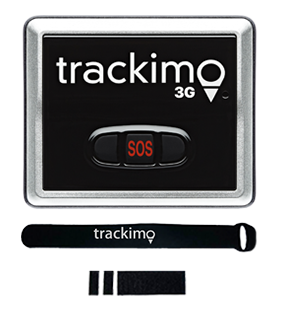 This holiday season, keep your children closer and protected with Trackimo.